Let’s start a Virtual Book Club! Do you believe in magic? 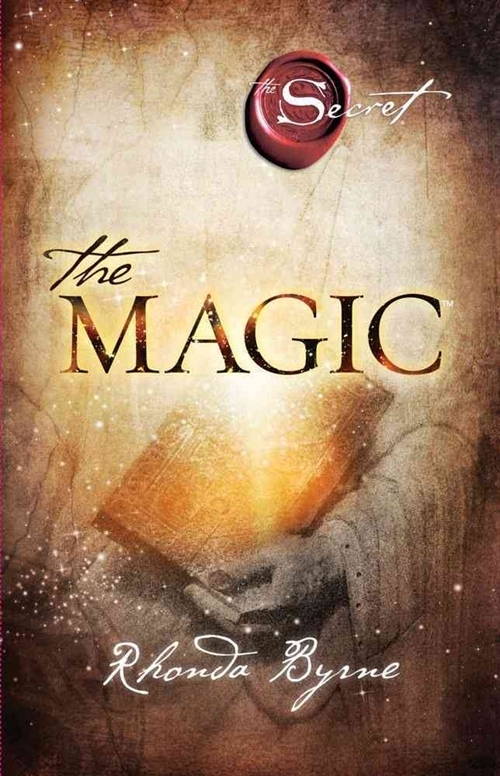 A few months ago I heard about the book The Magic. It’s about gratitude and being thankful for everything you have. While I do identify with a particular religion, I think that people often get too caught up in [their] religion and don’t spend enough time nurturing their personal relationship with [their] God. To me, a personal relationship with God is more fulfilling than following every single word of the Torah, Qur’an, Bible, etc. But, again, that’s just me! The Magic is essentially a twenty-eight day journey during which you read a chapter daily and then you do an exercise. Along the journey you learn gratitude. Many have described the book as “life changing”. While I consider myself a very thankful and grateful person I am very excited to embark on this journey. I’ve wanted to read The Magic for months but I was so engrossed in starting this blog and my YouTube channel that I knew I wouldn’t be able to dedicate the time I wanted to. I still don’t really have the time but I’m going to make it and start my journey on September 1st (the same day as the Castor Oil Challenge). I want to share my journey with you all (I hope I don’t regret this – lol) so on day 1 I will post my thoughts on curlsandmo.com and every day thereafter I will add my thoughts from that day to the top of the post. However, if anyone is interested in sharing with me and others, let’s start a Curls and Mo Virtual Book Club! I like to keep things simple, so if you ARE interested, we’ll do it via email for now. Email me at curlsandmo@gmail.com with your name and “Curls and Mo Virtual Book Club” in the “Subject” line. I will add you to the list and every day we will all email each other our thoughts. About the Author: Rhonda Byrne, like each of us, has been on her own journey of discovery. Along the way, she brought together a superb team of authors, ministers, teachers, filmmakers, designers, and publishers to bring forth The Secret to the world, and through her vision, bring joy to millions. She began her journey with The Secret film, viewed by millions. The Secret book, now available in 47 languages, continues to bring the law of attraction across the world—still on bestseller lists after five years. In The Power, another worldwide bestseller published in 2010, Rhonda Byrne reveals the single greatest force in our Universe. Subscribe to Curls and Mo on YouTube! Click "Followista" THEN check your email and "confirm" your subscription with the email address you provided. Thanks, doll! ‘Fro Fashion Week in NY and I’m an OFFICIAL FFW Blogger!